There is a lot of ambiguity in the world of short sales. During the whole NJ short sale process, no one knows if an offer will be accepted or rejected from the bank except the bank itself. Short sales require complex documentation and listings can be misleading—not every property advertised as a short sale is a short sale. When listing agents advertise a property as a short sale, sometimes they are just hoping the bank will take a low offer. Because of the abundance of uncertainty involved in short sales, it is important to know the top reasons most banks cite as reasons for rejecting an offer. Despite common belief, a seller does not have to be in foreclosure or bankruptcy for a short sale to occur. If the selling fees on top of the remaining mortgage are enough to put a seller under water, the sale of any property can proceed as a short sale. However, banks almost always require a ton of documentation before they will consider a short sale offer. 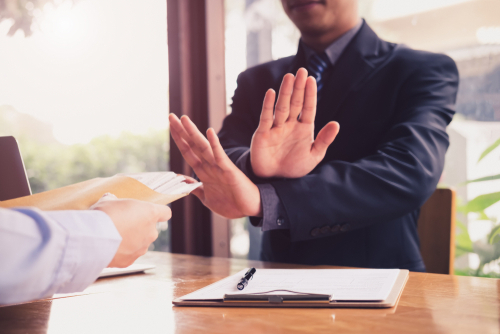 While a NJ real estate agent who has experience handling hundreds of short sales could probably tell you if a bank will accept or reject an offer, it can be an arduous task for real estate agents unfamiliar with the process. The listing price of a short sale has little bearing on the price a bank may or may not accept. Often, listing agents will try to keep the list price low to attract more interested buyers and competitive offers. A bank, however, will not accept a list price that is too low—even if the seller accepts the offer. Banks can request one or multiple appraisals to determine the value of the property. It is helpful for the short sale agent to submit a comparative market analysis to justify the price of a potential offer. No matter what, the final sales price of the property is completely at the discretion of the bank. If they think they could make more money through foreclosure proceedings, they will reject the short sale offer. Without every single required document, the bank will typically reject a short sale offer. A short sale package is a complex series of documents and even one mistake on any of the paperwork can cause a bank to reject the short sale. This is why working with a New Jersey law firm experienced in short sales (alongside your NJ realtor) can save you a lot of headache down the road. Be aware that banks are notorious for losing documentation. Keep copies of every document you provide in the event your paperwork gets lost. Just because a buyer is motivated and can afford a mortgage does not mean they are qualified to purchase a property. The bank will look at the buyer’s credit history, employment history, debt, and evidence of sufficient assets. Buyers will need to have evidence of a loan prequalification or a loan pre-approval letter included in their short sale paperwork. If the seller is seeking debt forgiveness, the bank will need to receive sufficient evidence from the seller that they truly are unable to pay back the shortfall difference due to financial hardship. The seller typically stands a better chance of getting the short sale offer accepted if they are able to work with the bank to create a repayment plan. If the bank determines the seller does not have sufficient evidence of financial hardship, they may reject the short sale offer. Our team at Veitengruber Law has years of experience helping clients negotiate real estate sales and complex short sales. We know what banks want to see in a short sale offer and will work with you to create an offer that has a high chance of being accepted. Call us today at 732-852-7295 for your free consultation and to start discussing your real estate plans. Personal loans, unlike student loans, mortgages, or auto loans, can be used for almost anything. If approved, you receive a lump sum that must then be paid back in monthly installments. From big purchases to home renovations to consolidating debt, a personal loan can be a useful financial tool. But sometimes, as with anything else, “life happens.” Unexpected financial difficulties like a pay cut or medical expenses can disrupt even the most carefully planned budget. When a financial set-back occurs, it can be difficult if not impossible to keep up with bills and payments. Often, it is loans and credit cards that are the first payments to be put off. What do you do if your situation has changed since being approved for a loan and you can no longer make payments on your personal loan? Today we’ll give you a few examples of steps you can take to remedy the situation. While most people are reluctant to talk to their lender in the event of a financial set-back, this is often the best thing you can do. In fact, most lenders will respect a proactive approach to handling the situation and appreciate your dedication to paying back the loan. The sooner you make your lender aware of the problem, the more likely they are to work with you. On the other hand, simply ignoring missed payments can result in an accumulation of late fees, collection efforts, a drop in your credit score, and even default. If there is a valid reason you cannot make the payments, your lender should understand and work with you to find a mutually agreeable solution. Once you have taken steps to make your lender aware of your situation, they may be willing to revise the terms of your loan to make monthly payments more manageable for your new financial circumstances. Lenders who are willing to negotiate will look at your expenses, other debts, and income to determine a more realistic monthly payment. So while the total principal of the loan will remain the same, payments can be made more affordable. The solution might even be as simple as changing the monthly due date of the payments to a time when it does not conflict with other bills. You may even be able to negotiate a deferment on your payment—it doesn’t hurt to ask! If your lender does not work with you to revise the terms of your loan and is still demanding on-time payments, you will have to find different ways to make the payments. Consider areas in your budget you could cut back on, even if it is only until you’ve paid back the loan. Determine which expenses are necessities (like food, utilities, transportation to work, etc.) and which are extra. If it is possible, try selling high dollar items, like a second car. You may even consider doing side work or getting a part-time job to help offset the cost of the loan payments. Explore all of your budget-revising options to avoid missing payments. In the event you still cannot afford to make the payments on your loan, don’t assume all hope is lost. When you’ve done all you can do to remedy your finances and you’re still struggling, it is time to reach out for professional help. At Veitengruber Law, our team of experts has years of experience dealing with difficult lenders and assisting borrowers in getting back on the right financial track. We will negotiate with lenders on your behalf to find effective solutions for real financial relief. We understand that not every debt problem is the same and we will work diligently to come up with a customized solution for your specific situation. Bankruptcy is not the only solution to unmanageable debt, although it may be the best solution for your circumstances. Our team will perform a holistic financial analysis to help you make informed choices about your financial future. 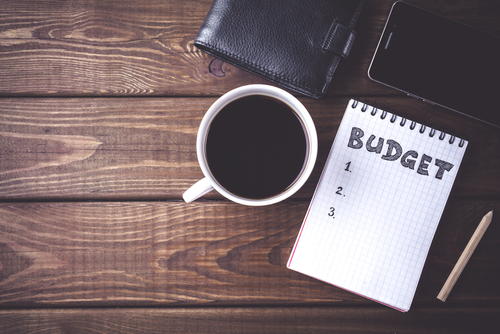 What Should my Budget Look Like After a New Jersey Bankruptcy? 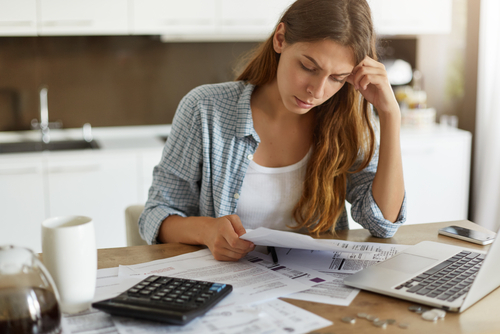 When overwhelming debt and missed payments start to control your life, bankruptcy can offer a fresh start to begin rebuilding your finances. It is important to take advantage of this clean slate by doing everything in your power to learn from past financial mistakes and create better habits for your future. 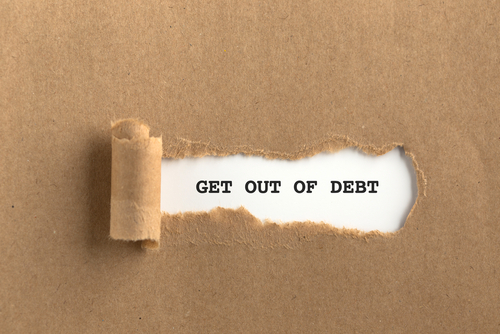 Debt can accumulate from overspending, a medical emergency, or the loss of employment or income. No matter how you found yourself in debt and filing bankruptcy, there are steps to take to make sure it doesn’t happen again. One of the best ways to become more aware of your finances and prepare yourself for unexpected expenses is to create a household budget. Take the first thirty days after bankruptcy to track how much money you are spending and what you spend your money on. The best way to do this is to create a spreadsheet listing different categories of expenses and then tracking these expenses throughout the month. Make sure you include every purchase you make to ensure you are getting the most holistic view of your finances. After you spend one month tracking your expenses, subtract your total expenses from your total monthly income. What are the results? Pay attention to where your money is going. You should never be spending more than you earn in a given month. If you have more money going out than coming in, it’s time to figure out where to make some spending cuts. You should start by determining which expenses are essential, like groceries and utilities, and which expenses are not. Start cutting back on any non-essential expenses. These percentages are only meant to serve as rough guidelines and they will not work with every household, but this is a great jumping off point for creating your household budget. If you find your spending in the above categories is significantly higher than recommended, you may want to start cutting back on those costs. Based on the above information, you should be able to create a monthly budget that works for your household. Continue to track your expenses to keep yourself accountable for your spending and to make sure your budget is realistic. Staying aware of your spending habits will help prevent former bad habits from resurfacing. Pay specific attention to growing your savings and emergency funds. These financial reserves can really save you in the event of an emergency. At Veitengruber Law, we know that life is unpredictable and rarely goes according to plan. A monthly budget can’t account for everything life will throw at you, but it can help you prepare for unexpected life events and sudden expenses. Creating a household budget will help bring some stability to your financial status and ensure you can weather the set-backs. If you need help making your post-bankruptcy budget, we can help! No one is immune to being scammed, but older Americans are a particularly vulnerable segment of our population. While victims of scams may be reluctant to report their losses due to embarrassment or reluctance to engage in legal disputes, the Federal Trade Commission estimates that over 7% of seniors aged 65 to 74 and over 6% of those over 75 become victims of fraud, losing billions of dollars annually. If you are helping to care for aging loved ones, it’s vital that you do your best to keep them informed of current scams. Any elderly person who is experiencing deteriorating cognition, should have someone review their finances regularly. By staying current on their financial situation, you will be able to nip anomalies in the bud before they’ve lost hundreds or thousands of dollars. 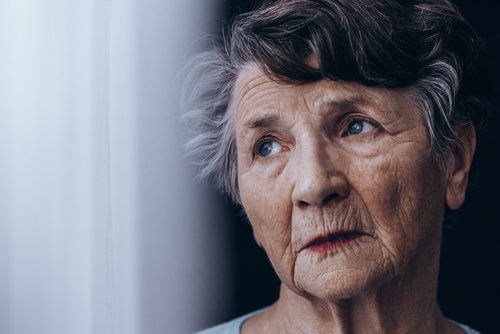 The following guide to protecting your senior loved ones from scams in the year 2019 is intended to help prevent fraud, but read to the end if you need to report a fraud that has already occurred; we’ve got links to put you in touch with the right authorities. 1. 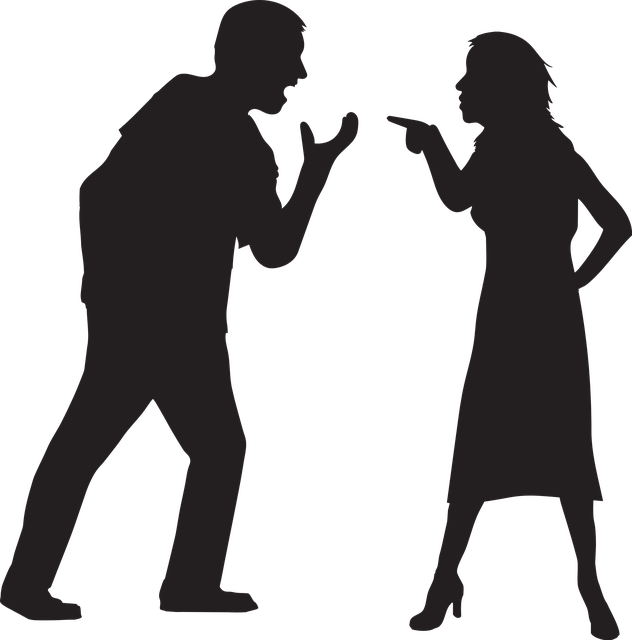 Be wary of seemingly official communication that evokes fear or panic. As we all know, we don’t think clearly when our negative emotions have been strongly triggered. That’s why scammers use sneaky tactics to scare senior citizens into sharing personal information or outright forking over their hard-earned savings. Tell your loved ones that anyone who contacts them and says that there is an urgent reason for them to reveal private data (bank account numbers, credit card numbers, SSN) is not to be interacted with. A bank isn’t going to call and request such information, and no governmental organization—whether Social Security or the greatly-feared IRS—is going to call and threaten them at home. Under no circumstances should sensitive information be shared with cold callers. No matter your age, do your due diligence to make sure personnel are legitimately associated with their cited organization. 2. Even if your loved one does want to make a purchase, advise a waiting period. No trustworthy sales person will pressure someone to buy immediately. Sales people who advise taking little or no time to mull over a financial decision are using fraudulent tactics to manipulate their target into making a bad decision. It’s a good idea for everyone to wait at least 24 hours before acting on a decision to purchase. If you can, wait a full week and think through the implications of any big-ticket item. 3. The Grandparent Scam is new again. In this take on the classic scam, someone calls an older person and pretends to be their grandchild. They spin a sad story—again, designed to spark a wave of disorienting emotion—that they’ve been in a car accident, or have been robbed, or even imprisoned, and beg for money to be wired over immediately. While younger people who are scammed are more likely to wire funds, older adults mail cash. They’re taken for a median individual loss of $9,000. Claiming to be avoiding loss of money in the mail, these unscrupulous crooks ask their victims to stuff cash into several envelopes, then lay the envelopes between magazine pages and mail them out. Should your loved one receive a call from a distressed “family member,” they should take the time to call that person on their usual line and verify their whereabouts and situation. Don’t mail cash under any circumstances. 4. Natural disaster relief is rife with scammers. After a natural disaster, scammers waltz in, targeting the victims and their family members/friends. These scams may begin with cold calls, social media outreach, emails, or even with a personal visit. Scammers may pretend to be a charity or federal agency. They’ll ask for donations or personal information, often saying they need this information to complete official forms requesting funds for direct disaster relief. If you or your loved ones are victims of natural disaster, use NCOA’s BenefitsCheckUp® disaster assistance tool to locate legitimate sources of aid. You may receive advertisements or emails advertising prescription drugs that work just as well as (and for less money than) the ones you’re paying for now. These are, largely, fake. These drugs may not even be real, and the people behind them are just trying to get your insurance information or credit card number. Alternatively, the drugs may be counterfeit, essentially acting as placebos. This is obviously severely dangerous to your health and potentially fatal. Elderly people consume about one-third of all prescription drugs in the U.S., despite making up less than 15 percent of the population, and scammers take aim at this need for cheaper prescriptions. Here’s who to contact if you need to report a scam. The FBI deals with blue- and white-collar crimes. If the scam happened online, they’ll look into it. The FTC handles telemarketing and phishing scams. If you’ve made a misplaced investment in an opportunity only to realize you’ve been scammed, report it to the SEC. 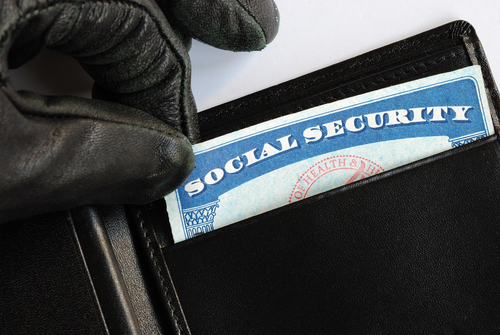 The SSA is who to inform if you’re scammed with regard to your social security number. 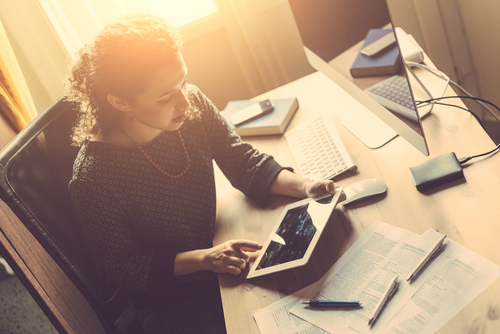 If an online business has fraudulent practices, report it to the BBB. Their website identifies businesses across the country who have attempted to scam customers. 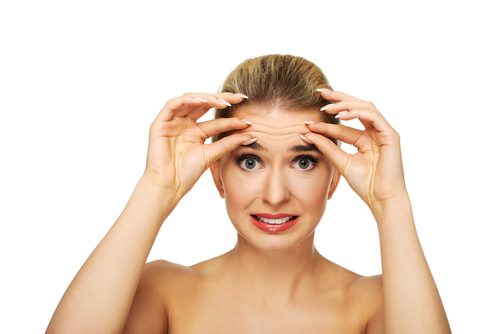 Will a New Jersey Bankruptcy Resolve My Plastic Surgery Debt? Medical debt is one of the leading causes of excess debt in the US. Even when covered under medical insurance, many NJ residents find themselves facing bankruptcy as they struggle under the pressure of medical debts. Bankruptcy can seem intimidating, but it can be a great way to get a fresh start if you find yourself struggling to pay back medical debts. Whether you choose to fully discharge these debts under Chapter 7 bankruptcy or enter into a more manageable repayment plan with a Chapter 13 New Jersey bankruptcy reorganization, filing for bankruptcy can set you on the path to financial health. Bankruptcy is meant to allow people to move forward from previous financial mistakes or setbacks. What about plastic surgery debt? While it is true that plastic surgery is a medical procedure, it is elective and that choice makes the difference when filing for bankruptcy. Plastic surgery is considered a luxury debt. Luxury debts include any goods or services you purchase with a credit card that are not considered necessary to the maintenance of you or your dependents. Also in this category are jewelry, home décor, beauty products/services, vacations, electronic devices, and even alcohol. It is important to include any luxury debt when you file for bankruptcy, but that doesn’t mean these debts will be discharged. The timing of the purchase of these products and services is what is crucial to whether or not they will be discharged in your bankruptcy case. In NJ, if the debt was accrued within the 60 days immediately before you file for bankruptcy, it is within the right of the credit card company to refute your claim. The credit card company could argue that you made the purchase using credit you had no intention of paying back. This is called constructive fraud, or fraud that occurs when a debtor’s actions imply fraud even if their intentions weren’t to commit fraud. Any luxury purchases totaling $1,150 or more made in the 60 days just prior to your bankruptcy is filed could be scrutinized as constructive fraud. There are a plethora of myths and misconceptions surrounding bankruptcy proceedings. Turn to an expert when you have questions. If either your credit card company or plastic surgeon decide to sue for nondischargeability of the debt, you will become the defendant in a lawsuit. It will be your responsibility to prove to the court that the purchase was necessary. 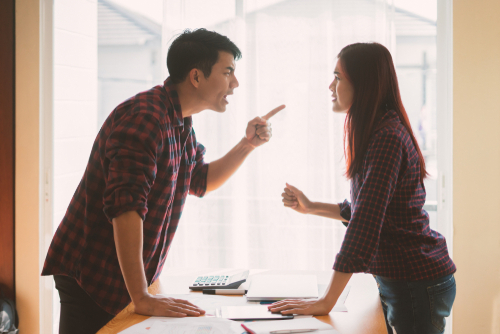 You will also have a chance to defend yourself against the suit if you can prove you had the intention to repay the debt and show that you made an effort to do so before filing for bankruptcy. If the court decides this purchase was unnecessary—or that it was considered fraudulent—your plastic surgery debt will be deemed non-dischargeable and you will still be responsible for paying off this debt. Luckily, this only applies to luxury debt accrued within the 60 days before filing for bankruptcy. It is very likely that debt from plastic surgery accumulated before the preceding 60 days will be included as dischargeable debt in the final decision for your bankruptcy case. Whether the plastic surgery debt was from elective surgical or non-surgical medical procedures should not make a difference in making it eligible to be discharged under either Chapter 7 or Chapter 13 bankruptcy. Bankruptcy is meant to allow people to move forward from previous financial mistakes or setbacks, and plastic surgery debt is no exception. There can be a lot of myths and misconceptions surrounding bankruptcy proceedings. Veitengruber Law is experienced in providing full-service debt relief solutions. We understand the stress caused by seemingly insurmountable debt and we work hard to offer solutions to even the most difficult financial problems. We know that bankruptcy is not the end of the line, but a chance for our clients to get back on their feet and on the road to financial health. We offer customized bankruptcy analysis based on your specific goals and financial needs. Call us today at 732-852-7295 for your free, no-obligation consultation with our experienced team of bankruptcy experts. A Relative Stole My Child’s Identity: What Are My Options in New Jersey? Having one’s identify stolen is stressful, and remedying the breach is complicated and time-consuming. This is all doubly true when it is not your own identity that is stolen, but rather your child’s. Worst of all: realizing that you are one of the thousands of Americans whose own relative has stolen your child’s identity. 6 in 10 of the children who are victims of identity theft know their perpetrator well. By contrast, a scant 7% of adult victims of identity theft were acquainted with the person who had stolen their information. While it might seem obvious to you that your kindergartner couldn’t possibly have taken a weekend trip to go scuba diving without you noticing, that won’t make it any easier for you to straighten out the chaos left in the wake of child identity theft; regretfully it’s just as complicated as adult identity theft. A child’s SSN can be even more valuable than an adult’s; after all, a child’s identity is a blank slate. That means it can be used as part of a con to seek government benefits, to open lines of credit or bank accounts, and to rent housing without conflicting information showing up on the radar. The following guide will take you step by step through the procedure you’ll need to follow once you’ve discovered that your child’s identity is being used illegally. If your child’s identity has been stolen by a relative, you may be feeling conflicted about reporting your relative to local authorities. Even when we’re betrayed by a family member in such a reckless and selfish manner, many of us would rather not see a loved one prosecuted. Unfortunately, credit institutions will require a police report detailing the crime of identity theft before they’ll permit you to rectify your child’s good name and credit standing. You must set aside your feelings for your family member and allow the law to intervene. Before you contact the police, prepare yourself for the reality that is soon to follow. Turning in your loved one means accepting the likelihood that they’ll receive a felony conviction. New Jersey Identity Theft sentencing guidelines suggest prison terms ranging in length according to the severity of the financial damage and hefty fines to go with them. The next step is contacting one of the credit reporting companies and placing a fraud alert. The one you choose is supposed to alert the other two, but if you want to be sure this happens, it would be wise to follow up and make sure it’s been done. Complete the form online here. Once this form has been submitted, you’ll be given a full report on your identity theft and an individualized recovery plan. This report serves as proof of your child’s identity having been stolen, so under no circumstances should you skip this step. Once the above steps have been completed, you’ll begin the potentially lengthy process of contacting each institution or individual who has been duped by the con. Contact the fraud departments for each point of theft and inform them that your child is a minor who is not legally permitted to enter into contracts. Attach a copy of your child’s birth certificate, if necessary. Close any accounts that have been opened in your child’s name. When you contact a business or bank who lent money or extended credit to the thief, request letters confirming that these accounts do not belong to your child. This letter needs to declare your child free of these debts and confirm that the accounts have been removed from your child’s credit report. Finally, you may consider freezing your child’s credit until they are old enough to use it themselves. A credit freeze simply restricts access to your child’s file, meaning it’s much more difficult for a thief—related to you or a total stranger—to open new accounts in your child’s name. If you’ve worked your way through all of the steps above or got stuck on one of them, reach out to a NJ credit repair attorney. Repairing your child’s credit now is crucial to their financial wellness later in life.